I’ve gotten presents that have been extravagantly beribboned and expensively wrapped and yet failed to live up to my expectations. I’ve also had the most amazingly appropriate gifts wrapped in newspaper and tied with a piece of string. Ya never know what you’ll get. 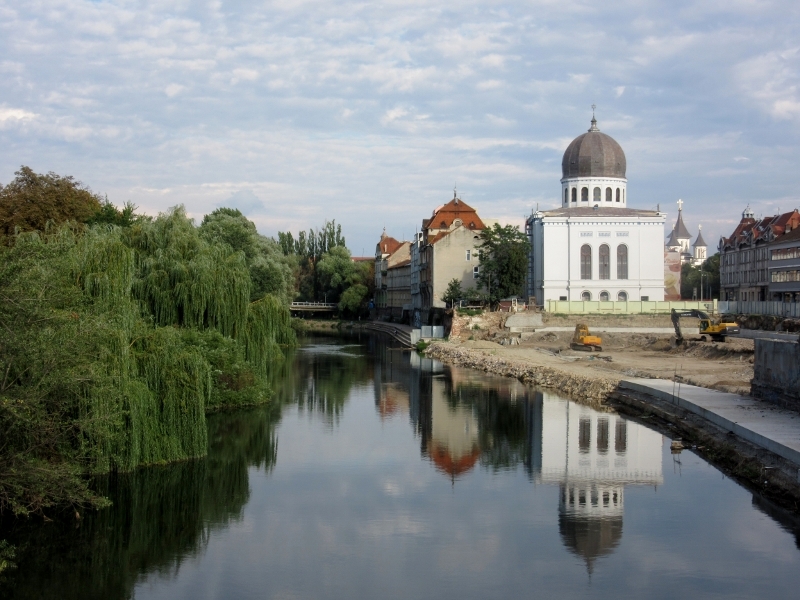 Oradea (Nagyvárad) is a little like that. Once the cultural capital of the Carpathian region, it’s still the cultural capital of Transylvania, if not the whole of Romania. Just 8 km from the Hungarian border, for years the city was passed back and forth between the two countries. 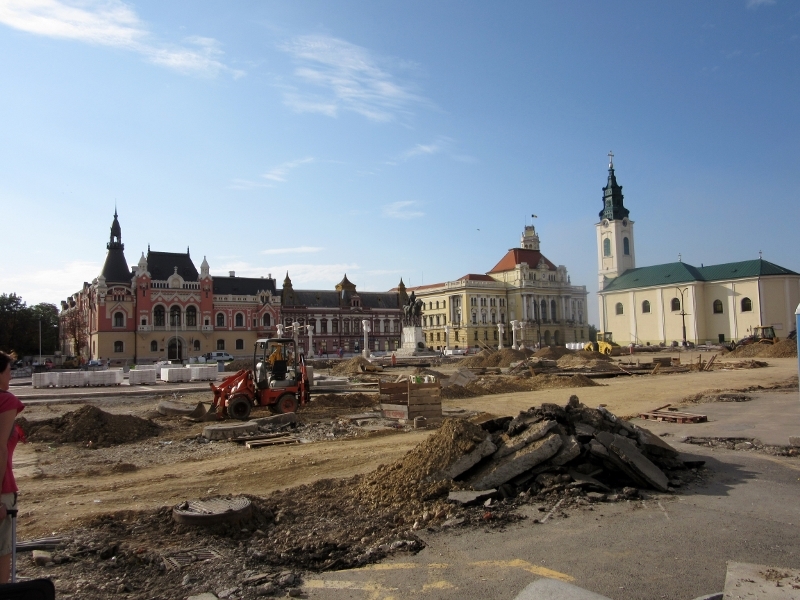 And while the bus station and the 30-minute walk into town are nothing to write home about, when you turn the corner into the old town, even if it is under construction, it’s jaw-droppingly gorgeous. When I say ‘under construction’ I mean it. But not the sort of construction site that is closed off to the public. One where pedestrians get to walk alongside the JCBs and get up close and personal with the pneumatic drills, stumbling to their heart’s content, taking their lives in their hands as they do. But it’s worth the dust, and the stumbling, and the dicing with death because when it’s all done it is going to give other European squares a run for their money. Unification Square, as it’s known, is home to myriad churches and a palace. Moon church is quite unique and with its astronomical clock that depicts the phases of the moon. Inside, it too is being restored. 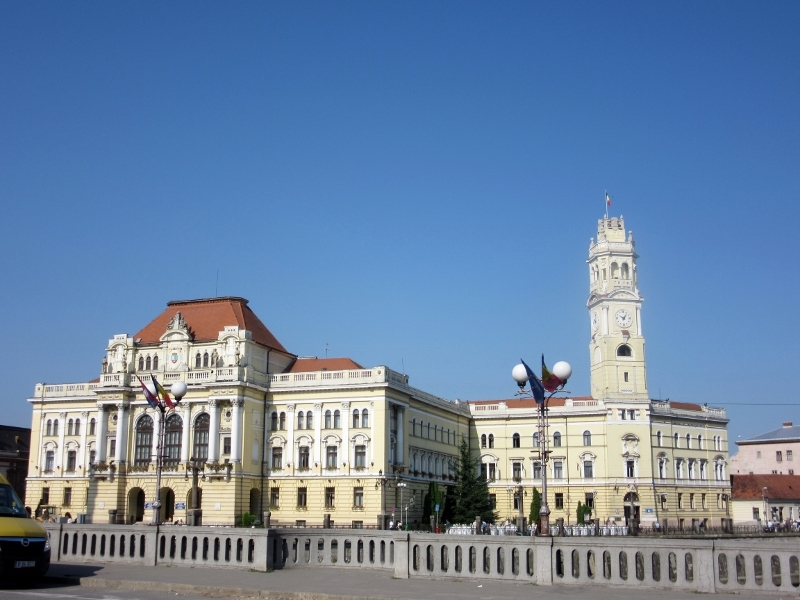 Oradea’s facelift runs deep. The Baroque Palace (Palatul Baroc) is built in Viennese style and has a total of 365 windows. 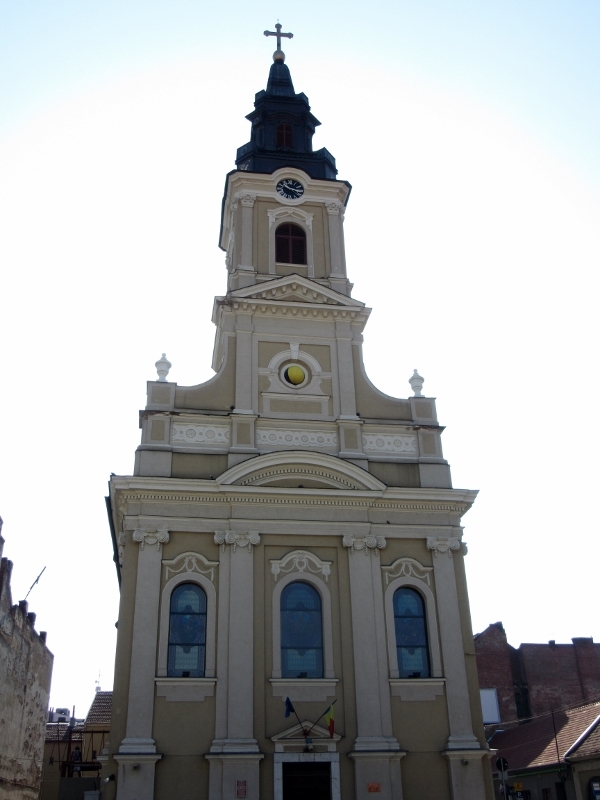 Originally built in honour of Maria Teresa, up till 1945, it was home to the local Roman Catholic bishop. But then the Communists came and borrowed it, not returning it until 2003. 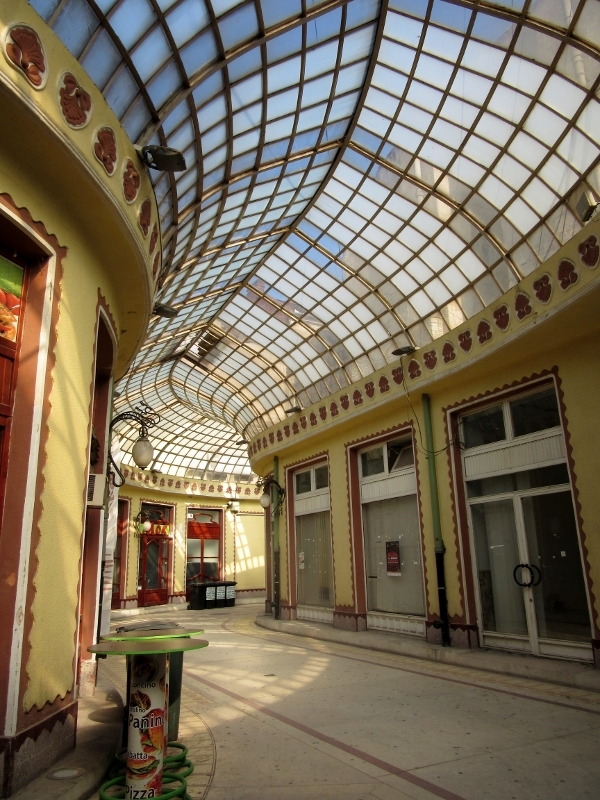 Black Eagle Passage (Pasajul Vulturul Negru) is another gem undergoing renovations. And it’s still open for business. 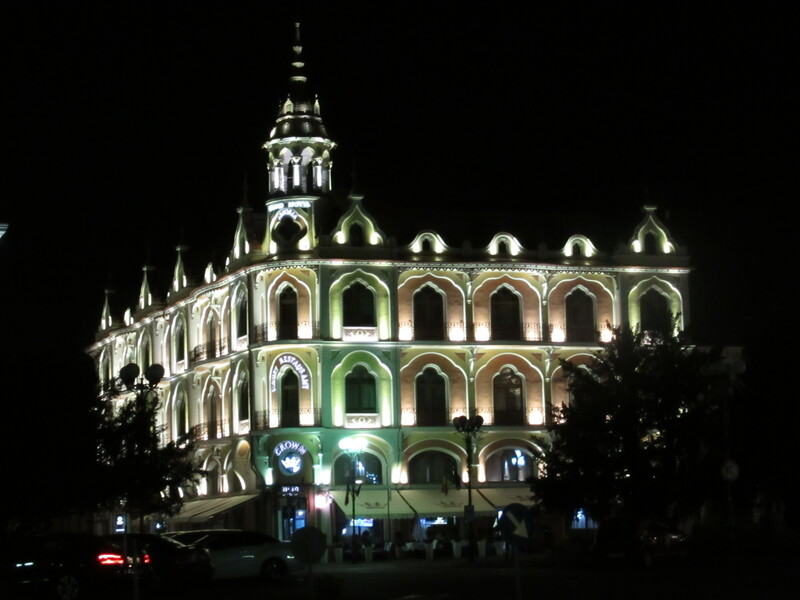 The numerous bars and cafés beneath the glass-roofed arcade are still plying their trade and the crowds keep coming. Parts of it are covered in builders’ plastic and scaffold but that doesn’t seem to bother anyone. The bits still to started on are magnificent. A night here alone would be enough to entice me back – I didn’t stumble across it until a few hours before my train so it needs to be revisited. Mind you, the jury is out as to whether Vultural means eagle, vulture, or hawk… but no matter which bird it’s called after, it is something to be behold. 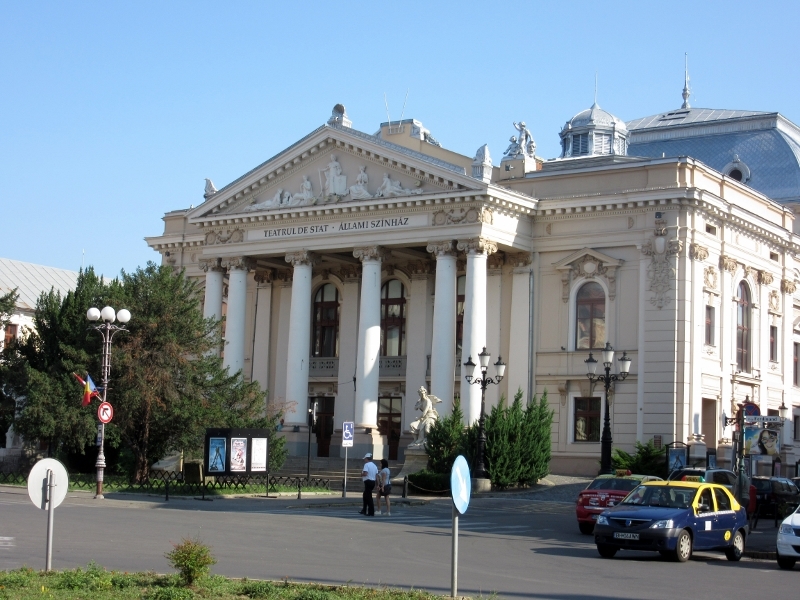 The Crișul Repede river divides the city in two and the other side is no less beautiful with its theatres and museums lining a long pedestrian street. And it was right across from here that we stayed. In the fab Astoria Hotel. Had I a trunk full of evening dresses, I could have stayed a month. You make me want to go see all these places! How dissapointing! !………..I had always imagined the capital of Transylvania to fit into the creepy Hammer House of Horror set………what a beautiful place. I think that The Black Eagle passage must have been inspired by the Galleria in Milan……..interesting there is a very similar ‘passage’ in Leeds, wonderful spaces. Presumably the construction work is sorting out the place ready for tourists and is funded by the EU. I hope that it doesn’t end up gentrifying the spaces, it would be a shame. Yet again you are recording a changing world. Astoria Hotel eh!…….things are looking up!! There is very little about the passage on the Net – does warrant more investigation though. It is truly spectacular. Yes, definitely EU money – but doubt it will be gentrified – they seem to have a good handle on what they’re doing. Wow, how beautiful!! Absolutely have to show my husband who grew up in Romania with parents from Transylvania. Never knew it was so enticing, I’ll definitely have to plan a visit! I know… Shame on me 😉 But hey: It’s always good to have goals! !